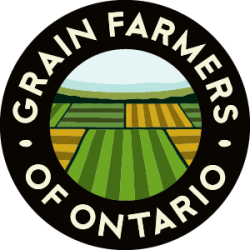 GUELPH, ON (December 9, 2014) – Grain Farmers of Ontario is sponsoring four satellite locations for the upcoming Southwest Agricultural Conference. The 2014 Southwest Agricultural Conference, or SWAC, takes place on January 7th and 8thin Ridgetown, Ontario. To make the conference more accessible for farmers across the province, Grain Farmers of Ontario has partnered with John Deere to broadcast select sessions from the conference in four locations on January 8th. 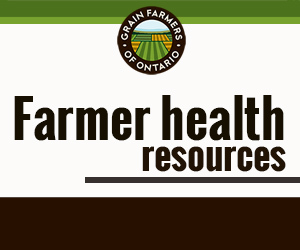 This year, these locations will be Earlton, Omemee, Walkerton, and Kemptville. Sessions that will be broadcasted include Soybean Strategies, Wheat What?, Top 10 Corn Tips, Market Outlook, Road to High Corn Yields, Brazilian Bulldozer, Science vs Perception and Diseases of Consequence. Cost to attend the satellite locations is $25, by cheque mailed to Grain Farmers of Ontario or at the door. A workbook and lunch are included and CCA credits are available. The registration deadline is December 30th. Registration is available online or by contacting Erin Calhoun. Registration will also take place at the door, but a workbook cannot be guaranteed without pre-registration. For more information and to register please visit www.gfo.ca/SWAC.aspx or www.southwestagconference.ca.